Tou Ger Bennett Xiong | A Hmong artist, educator and activist. A Hmong artist, educator and activist. Tou Ger Bennett Xiong was born in Laos in 1973. Since his father served with the CIA, his family had to flee Laos after the communist takeover in 1975. After four years in a refugee camp in Thailand, his family immigrated to the United States. Tou Ger’s childhood in America began in the public housing projects of St. Paul. In 1992, he graduated valedictorian from Humboldt High School. He went on to receive a degree in political science from Carleton College in Northfield, Minnesota. Tou Ger Xiong was not a normal Hmong boy in high school, but a young leader with a bright future ahead of himself. Growing up in a culture of folk story-telling, he gained those same passion to retell stories. He was never really timid, instead the opposite. As a freshman in high school, he was able to create a Hmong Cultural Club where he was the president through his high school years. He had the skills to gather groups of people and motivate them to come together. With this type of mindset, he has deemed himself a self-employed Hmong comedian, entertainer, motivational speaker, and educator. 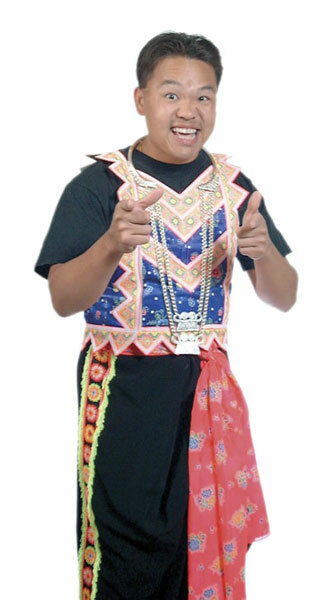 He is currently still active in his Project Respectism as well as his one-man shows where he embraces the Hmong culture by educating his audience of his origin. Tou Ger is married to Andrea Bennett Xiong who is also an activist for women’s rights . She has a Master’s degree in human resource. They both proudly support one another in their field of work. Together, they give back to their community through volunteer work, community services, and giving motivating speeches to youths, college students, and the general public. Tou Ger has become co-founder of various organizations such as the Community Action against Racism, Hmong American Partnership’s Boards of Directors, Coalition for Community Relations, and many more. Copyright: Some information from the following biography is taken from “Success That Looks Like Me,” a book and film documentary about the messages and biographies of 25 successful and extraordinary Hmong men and women from across the U.S.